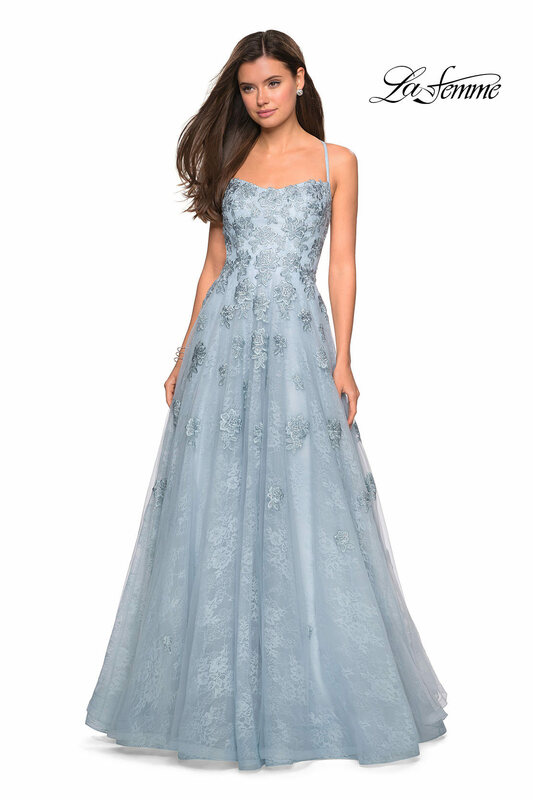 So sweet and elegant; La Femme style 27448 is perfect for a formal occasion! 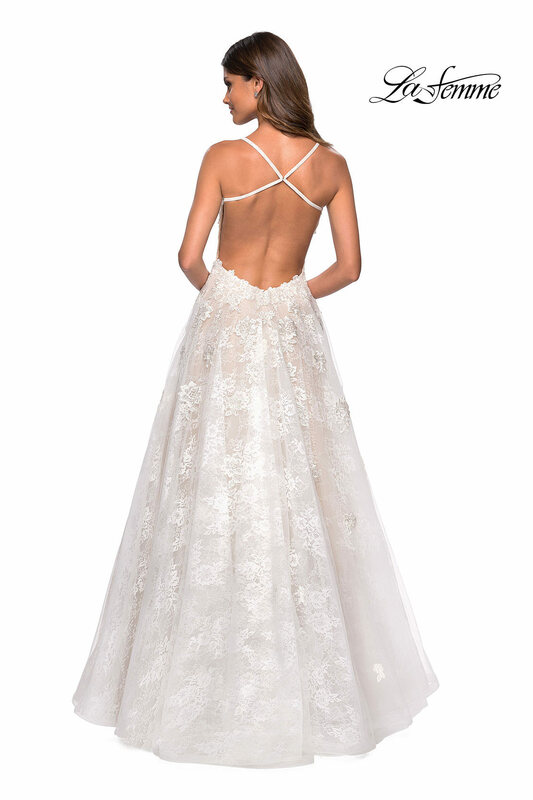 This style has a straight across neckline with dainty straps and an open zipper close back. 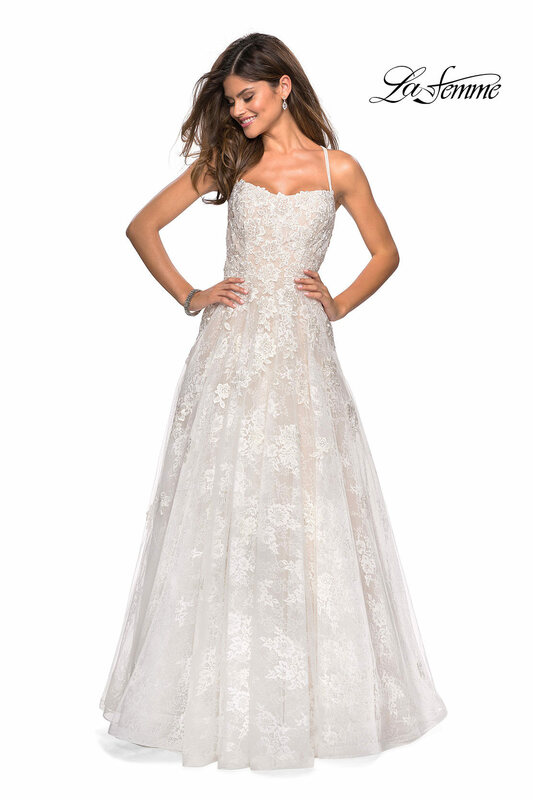 The entire dress is covered in a floral lace overlay adding an elegant touch.